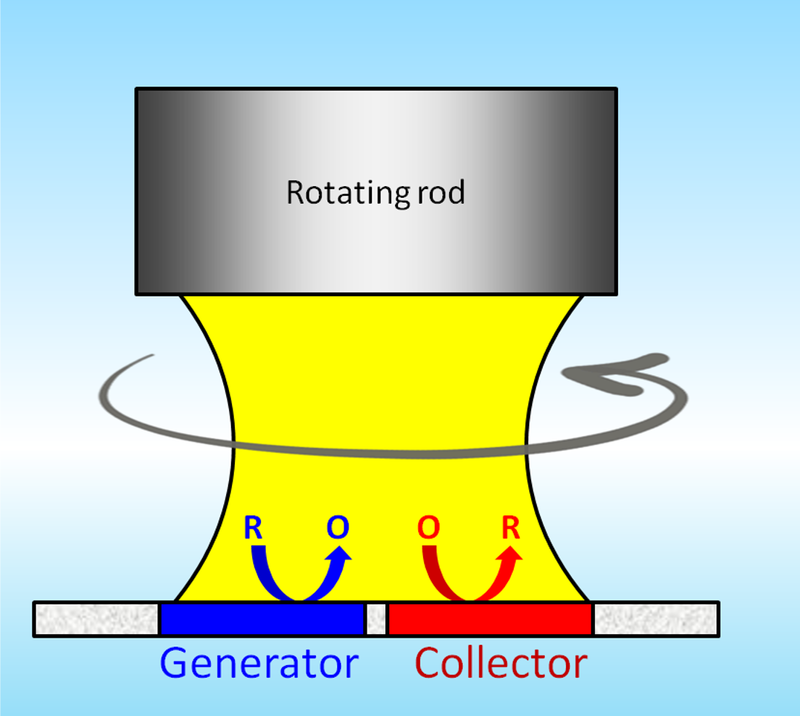 Schematic figure of the setup and the reactions observed. 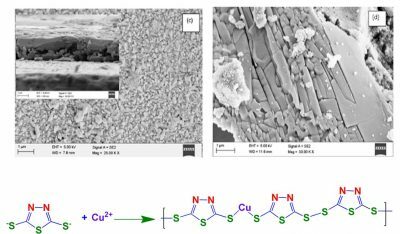 Vishwanath’s research on cation transfer at a three-phase junction was just published1 in Electrochimica Acta. This paper looks at transfer of cations driven by a redox reaction in an organic droplet immobilised on the electrode surface. 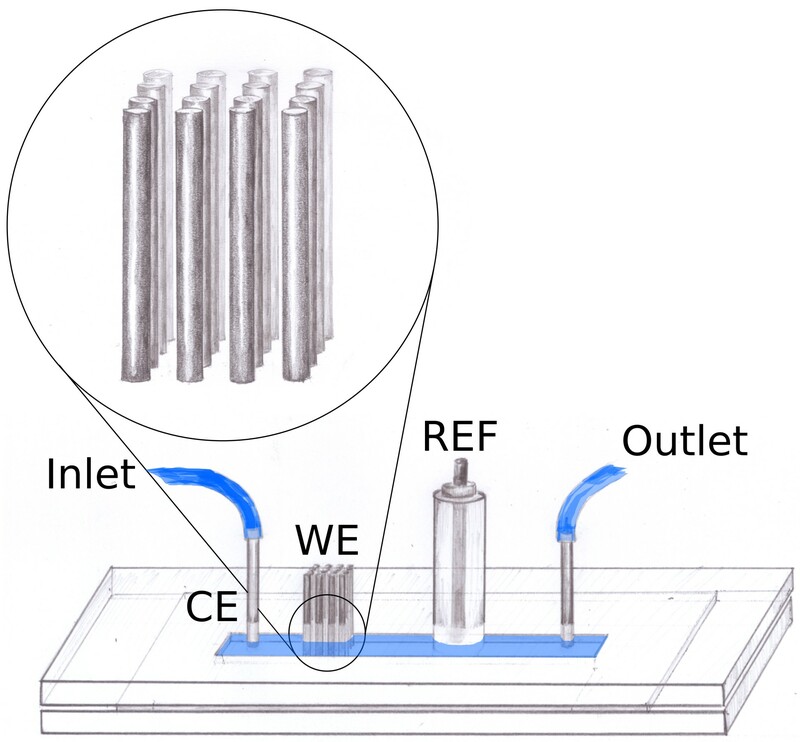 The droplet is small enough not to cover the whole electrode area, so a three-phase junction (TPJ) is formed between the aqueous electrolyte, the organic phase and the electrode. While there are many reports on anion transfer at the TPJ much fewer publications concern cations. 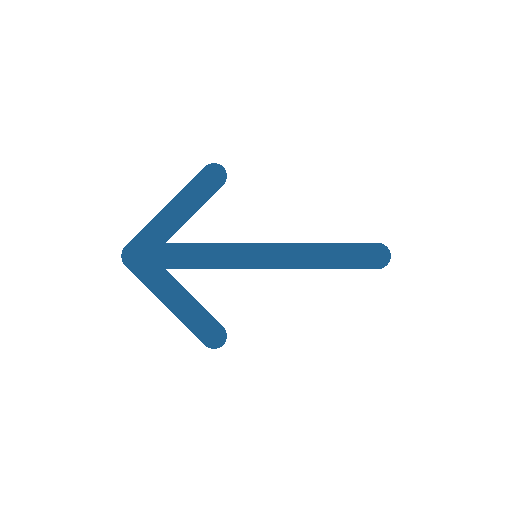 This is because it’s hard to find a redox probe that is sufficiently hydrophobic – also in its reduced state – not to be expelled into the aqueous phase. Peak potential for reduction of AQ at the three-phase junction for various cations present in the aqueous phase. 1-aminoanthraquinone (AQ) and 2,3-dichloro-1,4-naphthoquinone (NQ). AQ is reduced in a single-step two-electron reaction, whereas NQ goes through two single reduction steps. Reduction of either of them is accompanied by transfer of cations from the aqueous to the organic phase. 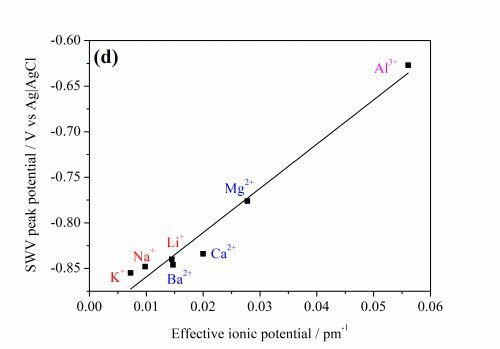 However, instead of following the usual rule – that hydrophobic ions transfer easier than hydrophilic ones – we see that the transfer potential scales with effective ion potential. This is due to ion-pair formation between the transferred ions and the quinone. 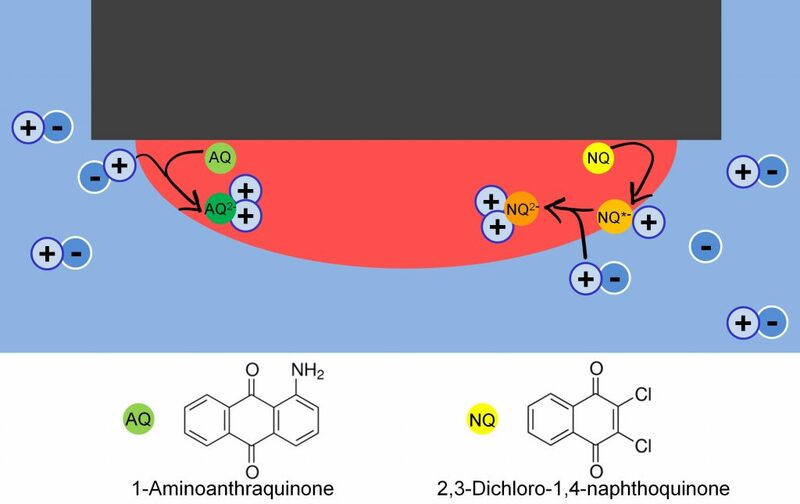 We also note that in the case of NQ, the singly-reduced quinone seems to adsorb on the liquid-liquid interface before being further reduced in a second step. The potential of the first step is not dependent on the cation, but rather the anion, in the aqueous solvent. This is likely due to the effect of “salting out” the quinone. In this case the potential follows the Hofmeister series, as expected. The second step follows the same ion-pairing order as for AQ.